Yale University Press, 9780300230055, 360pp. Francis Spufford’s welcome first volume of collected essays gathers an array of his compelling writings from the 1990s to the present. He makes use of a variety of encounters with particular places, writers, or books to address deeper questions relating to the complicated relationship between story-telling and truth-telling. How must a nonfiction writer imagine facts, vivifying them to bring them to life? How must a novelist create a dependable world of story, within which facts are, in fact, imaginary? And how does a religious faith felt strongly to be true, but not provably so, draw on both kinds of writerly imagination? Ranging freely across topics as diverse as the medieval legends of Cockaigne, the Christian apologetics of C. S. Lewis, and the tomb of Ayatollah Khomeini, Spufford provides both fresh observations and thought-provoking insights. No less does he inspire an irresistible urge to turn the page and read on. 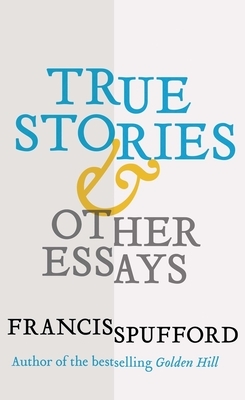 Francis Spufford is professor of creative writing at Goldsmiths College, University of London. He is the author of several highly praised books of nonfiction, and his novel Golden Hill won four literary prizes including the New York City Book Award of the New York Society Library. He lives in Ely, UK.